Moisture or humidity in your home can cause big problems for hardwood floors. Since wood is a natural material, it continues to react to environmental changes, even after it is installed in your home as flooring. If a home has excessive moisture, hardwood floors will expand. Likewise, too little moisture can cause wood to shrink. Solid wood floors can expand or contract as much as 3 inches over 10 feet – causing unsightly issues like cupping or gapping. So what can a homeowner do to prevent moisture problems? This article will highlight a few tips for doing just that. Also, be sure to watch the video tutorial mentioned below. Before installation, always use a moisture meter to measure the moisture content of the sub-flooring. Test several areas of the sub-flooring; the average moisture content should be somewhere between 10-14%. Prefinished solid wood floors are greatly impacted by moisture. Therefore, they must be installed on or above grade. Solid wood floors must be installed over a plywood, wood, or OSB subfloor and should be nailed or stapled. 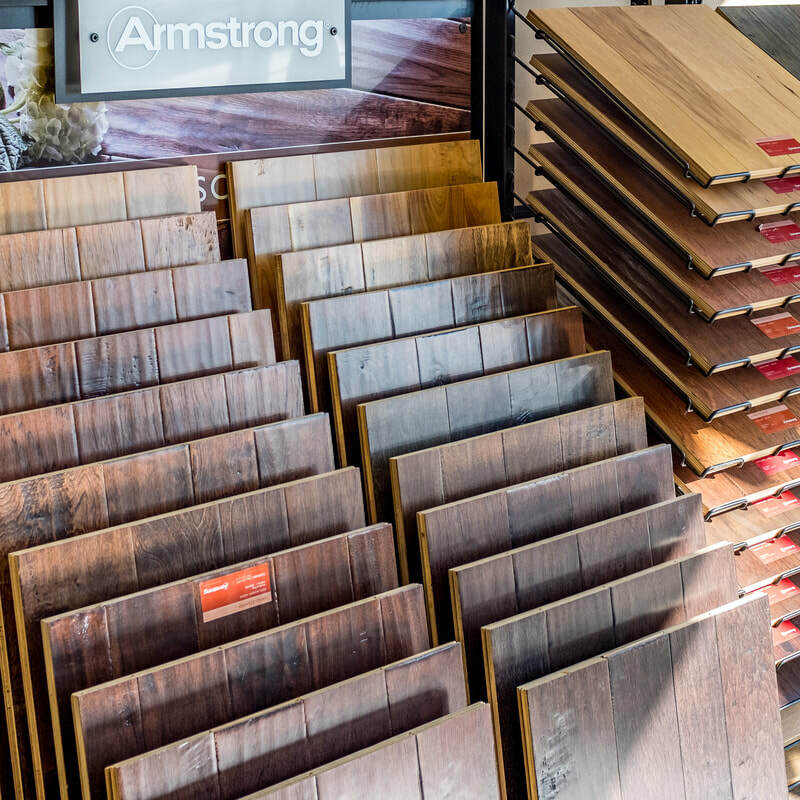 Prefinished engineered wood floors (multi-ply layers laminated together) are less impacted by moisture since they expand and contract in all directions. Therefore, engineered floors can be used on all grade levels and over most subfloors (including concrete). Floating wood floors (engineered floors manufactured into panels) can also be installed at all grade levels and over any flat subfloor. Another year, another gold medal!!! Wow... five years in a row! 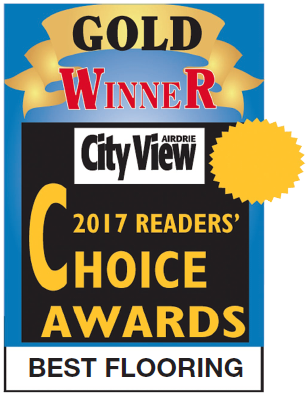 We are so extremely grateful to the community of Airdrie and surrounding area for this honour. Chateau Flooring opened its' doors in December of 2011 and every year since then you have ranked us as your favourite flooring store! The best part of this is knowing that our commitment to making our clients happy is the driving force in this success. Here's to another great year ahead of us! Don't be too shy to stop by and find out why we are the community's #1 choice for your flooring needs!